The main rail link between Somerset and Devon will be closed for three weeks to repair a 170-year-old tunnel. 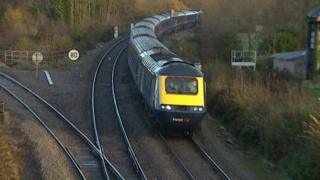 Network Rail said it was "conducting essential engineering works" on the Whiteball Tunnel between Taunton and Exeter. The repairs include relining the walls of the tunnel to safeguard against brick fall and flood prevention work. Replacement buses will operate until 8 March for passengers travelling on the affected route.